Hawker45 is a restaurant with an energy difficult to describe. You can feel it when you pass through the door, located right in the center of Barcelona, and see that there are no waiters: the chef and her team cook and serve dishes to the diner at a brisk cadence that is surprisingly calm and friendly. Laila Bazham, the young chef and co-owner of Hawker45, has the explanation: “In this kitchen there is no ego. I wash dishes myself when necessary. We work as a team and enjoy cooking so that our guests have an unforgettable experience when tasting our dishes.” That’s it. And it’s authentic. 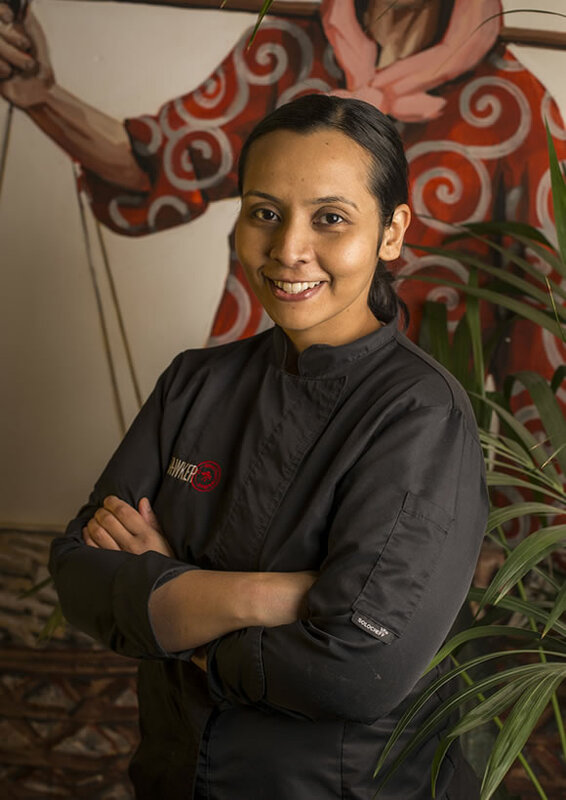 Chef Laila, a Filipino-Brazilian chef (34 years old), has a great culinary background that she developed in kitchens in Manila, Singapore, San Sebastian and Barcelona in just 6 years (she discovered her vocation when she left a successful finance career at age 28). Iconoclastic by nature, Bazahm has pivoted between the most classic French fine dining and progressive Spanish recipes: from the haute cuisine of Mugaritz or Robuchon to dishes that pursue the most primary flavors, created in the kitchen of the award-winning Anti:Dote ( Fairmont Hotel, Singapore). She also has another talent: a gustatory memory that, together with her great creativity, allows her to replicate recipes as if she has cooked them since childhood, but with a presentation that plays with the original dish. 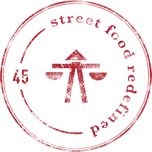 This is the magic you’ll experience at Hawker45, and is Chef Laila’s signature: absolute fidelity to the taste of street recipes from Korea, Japan, Singapore, Vietnam, Thailand, Malaysia or Laos ... with a presentation that’s renewed, refined, and closer in style to European haute cuisine.